The Orpheum Theatre Flagstaff is a large hot-spot for in-door concerts. The common named theatre (Phoenix also has an Orpheum theatre) has a rustic, grunge feel providing an intimate venue for concerts and shows. What can I see and do at Orpheum Theater Flagstaff? The Orpheum is a venue in Flagstaff for special movie screenings (Rocky Horror Picture Show anyone? ), concerts and miscellaneous other events such as Burlesque shows. Where is Orpheum Theater Flagstaff? The theatre is centrally located in downtown, across and down the street from Heritage Square. The street address is 15 West Aspen Avenue. When is Orpheum Theater Flagstaff open? It is open for events only check the online calendar for more information. 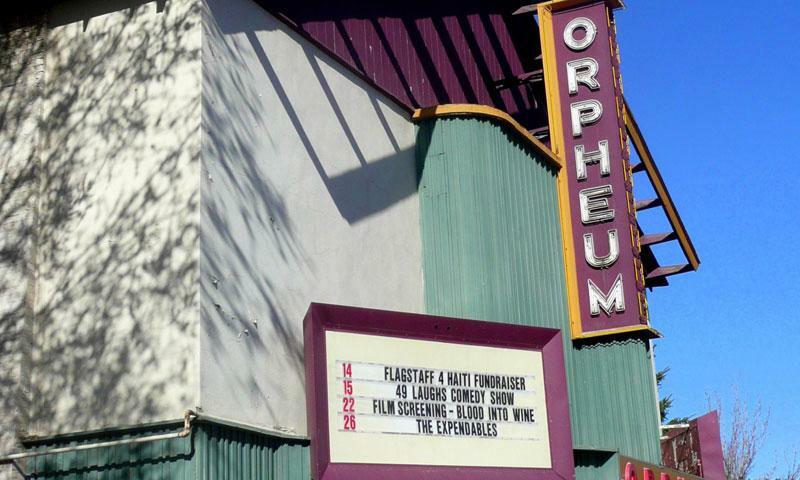 How much does Orpheum Theater Flagstaff cost? Ticket prices vary depending on the event. Check the website for updates at www.orpheumflagstaff.com. If you have questions you call the Orpheum at (928) 556-1580.